CES 2018 drew the tech crowds to Las Vegas last week, including many familiar faces in 3D printing. Highlighted among these in the 3D Printing Marketplace of the North Hall of the Las Vegas Convention Center was Techniplas, which was showcasing several partner companies involved in the recently introduced Techniplas Open Innovation Program. On the show floor, I appreciated the opportunity to catch up again with Avi Reichental, Techniplas’ Vice-Chairman and the CEO of the company’s digital unit. Following our recent conversation in Frankfurt at formnext 2017, the network of partner companies had a fresh showing at CES, with an ecosystem approach to sustainable, collaborative innovation throughout a breadth of industries. From Techniplas’ automotive endeavors to rock and roll, and from Nexa3D’s high-speed 3D printing to DWS’ broad SLA portfolio, the companies kept the crowds — and visiting journalists — busy. We began our conversation at Techniplas’ booth, which had a heavily modified MINI front and center, as the company has a long history as a Tier One automotive industry supplier. In embracing digital technologies, Techniplas is taking its place in the future of the automotive industry, supported by a well-established existing presence. The MINI, a popular model for automotive applications in 3D printing, featured several design updates to bring it into Industry 4.0, including components created via topology optimization, generative design, and additive manufacturing that resulted in lightweighting and a reduction in the number of required parts. “Lightweighting is not just material substitution anymore. There is topology optimization and generative design that play a big role, and not just with additive manufacturing, but with injection molding as well. This does not see the same dramatic results as in additive manufacturing, but about 10%, which is still significant,” Reichental said. Components on display showcased these weight reductions, with the part in the photo to the right having been produced via 3D printing (shown left) at a 35% reduction and via injection molding (shown right) with a 10% decrease. For those interested in gaining access to the next industrial revolution, at CES Techniplas introduced its Prime platform, with instant quoting in what Reichental described as an offering of tradition meeting digital. Without human intervention, a simple part can be optimized and quoted within minutes; complex aerospace parts require only a few hours. Moving further into the booth, we met again with Nexa3D, where Chief Product Officer Izhar Medalsy was on hand to share the new ultra-fast stereolithography NXV 3D printer. The industrial-grade SLA 3D printer uses the company’s proprietary Lubricant Sublayer Photo-curing (LSPc) technology and patented structured light matrix for its speedy performance — which, according to Nexa3D, is 40 times faster, twice as accurate, and five times less expensive than competing offerings. To showcase these capabilities, and as a nod to the automotive focus of Techniplas, Medalsy and the Nexa3D team were 3D printing four mini engine blocks every five minutes. A build finished as we spoke, and I was able to observe the fine resolution immediately upon completion. “Techniplas has ordered 30 Nexa3D machines to be deployed, and is working toward automotive-specific material development,” Reichental noted, adding that they are looking into urethanes and will be targeting end-use automotive applications. The company, Medalsy continued, has been gaining great traction, even since our conversation at the recent formnext. Nexa3D represents an important part of the ecosystem of collaboration that Reichental is especially keen to highlight; many of the partner companies share not only ideas, but facilities, including the location of Nano Dimension’s US-based Customer Experience Center. “Partnerships are very important to this growth; we’re very blessed to start off with so many good partners,” Reichental enthused. Also speaking to the power of collaboration in manufacturing was a rockstar to support the ideas. Kenny Lee Lewis of the Steve Miller Band played a 3D printed guitar, designed by Olaf Diegel, at CES 2015, and was present again this year to support and keep up with 3D printing. He was the first Rock and Roll Hall of Fame musician to play a 3D printed guitar, and was thrilled to recall the experience of the first time he held the novel instrument. Away from the Techniplas booth, Reichental and I visited the DWS booth to speak with General Manager Maurizio Costabeber about 3D printing offerings new and established. The new XCELL 6000 Work Cell system brings a unique autonomous take to SLA 3D printing, as DWS underscores the value of accessibility and reducing the need for operator intervention. First introduced at formnext, the system features an angled build area (Tilted Stereolithography — TSLA) for a faster process and incorporates post-processing in one unit, with dedicated cells for building, washing, and curing. The fully automated system, running about $45-$65K, will begin deliveries in Q2, and is enclosed for a safe environment that Reichental and Costabeber pointed to as being appropriate for educational settings for its ease and safety of handling. “In my mind, this is revolutionary technology,” Reichental, who is on the DWS Board of Directors, told me. 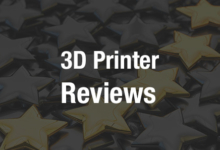 DWS has decades of experience in SLA 3D printing; Reichental pointed out that Costabeber’s team introduced their first personal SLA 3D printer in 1997 and that on display at CES was the fifth generation. The company creates every aspect of its ecosystem in-house, from the laser to the material to the software. The smaller systems, which run from $5K to $30K, now feature a four-laser system for industrial use, as well as a shallow vat that allows for rapid material changeovers and reduces the amount of material necessary. In additon to the XCELL and other new SLA 3D printers, DWS showcased the DFAB 3D printer for fully automated dental 3D printing. Available in both desktop and chairside configurations, the system can, Costabeber told me, create up to five dental restorations in 20 minutes. DWS has been developing the DFAB system for about 18 months, he continued, and will be beginning shipments soon. 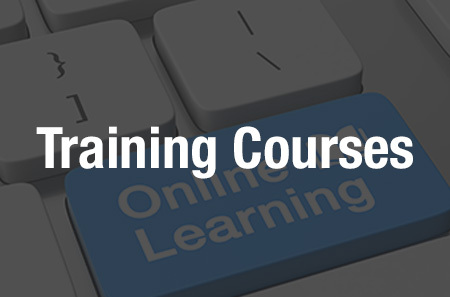 Integral to the DFAB is the idea that it can be used without the need for any training. Materials used on the system have been certified for dental use in Europe and are now in process with the US FDA. 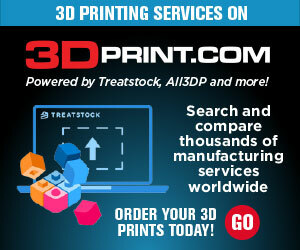 3D printers from DWS find use in around 65 countries today. “This is perhaps the most sophisticated printer out there, designed to remove human interaction,” Reichental said as we looked at samples from the DFAB. The tour through the companies with which Reichental is involved was, as at formnext, extensive in scope and a whirlwind on the show floor. The emphasis on collaboration among companies and on supporting growth across platforms in the ecosystem was truly heartening. He was certainly right in that no one company will ever be the entire solution — just as, indeed, 3D printing will never be the complete answer for manufacturing in and of itself — and such efforts in furthering partnership and fostering the exchange of ideas will only continue to grow in prominence and relevance across the entirety of the additive manufacturing industry as it continues to develop and mature. 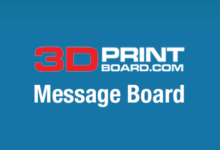 Discuss collaboration, CES 2018, and other 3D printing topics at 3DPrintBoard.com or share your thoughts in the Facebook comments below.